You gotta love #NewOrleans for always finding a reason to party, even when the celebration stems from heartbreak. Well, y’all know the Saints’ fan base rides hard for their team and instead of watching the game today, many of the city’s businesses including a variety of restaurants and bars are hosting parties to boycott the big game. To take things to an extra petty level, one bar, #TraceysOriginalIrishChannelBar, will show replays of previous Saints games culminating at game time in Super Bowl XLIV, the 2010 Super Bowl that was won by the Saints, according to @Forbes. 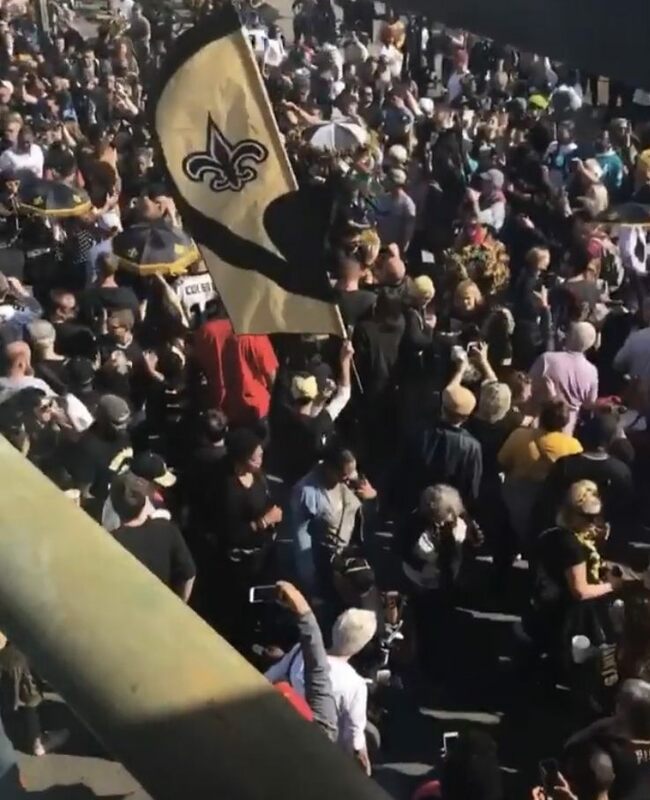 Multiple videos of the city show Saints fans parading in the street celebrating their team while blowing off the game. The Irish bar’s #BoycottBowl celebration will include live music, crawfish, and giveaways. Tracey’s also will throw some shade at the Saints’ arch rival, the Atlanta Falcons, by showing the second half of the 2017 Super Bowl, which the Patriots beat them after trailing the Falcons 28-3 in the third quarter. “We invite you all to come and Boycott with us,” Tracey’s says on its Facebook page. Meanwhile, New Orleans chef Amy Sins says she is the driving force behind a party on Magazine Street where Choppa’s “Choppa Style,” which was the Saints’ unofficial anthem this season, will be heavy on repeat! #Roommates, are you here for the Saints’ fans dedication? Let us know!